Superdry men’s Vintage Logo camo hoodie. 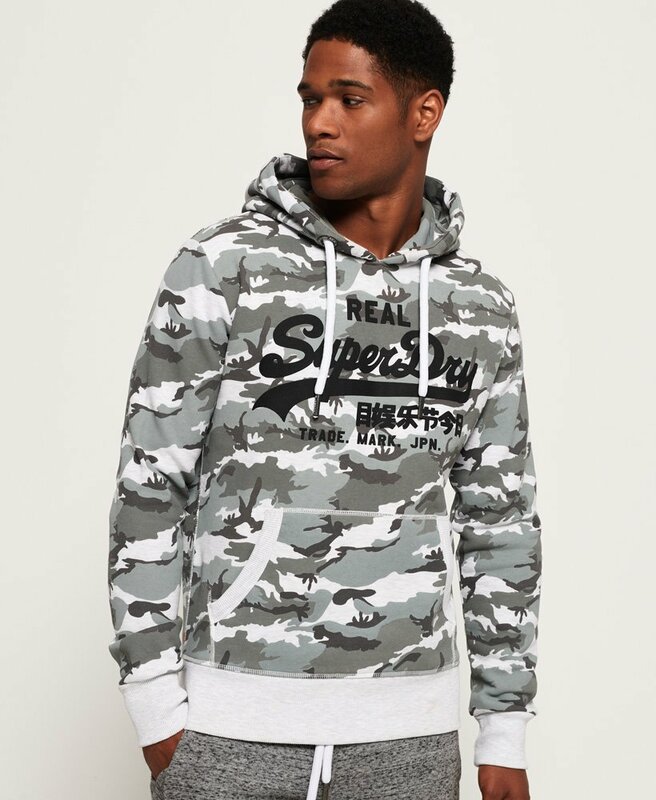 Look effortlessly stylish in this overhead camo hoodie, featuring an adjustable draw cord hood and the iconic Superdry logo embossed on the chest. This hoodie has been finished with a large front pocket for practicality, ribbed cuffs and hem for a flattering fit and an orange tab in the seam.